A Syrian opposition representative revealed that Saudi Arabia and the United Arab Emirates (UAE) had provided $1 billion support for the PKK's Syrian affiliate, the People's Protection Units (YPG), since the first days of conflict in northern Syria's Ayn al-Arab city in 2015. "They [Saudi Arabia and UAE] publicly gave $100 million to the organization. However, financial support coming from the Gulf region provided for the territories under occupation has exceeded $1 billion since 2015," Sejari said. Pointing out that the two countries aim to undermine Turkey's area of influence, Sejari stressed that various senior officials from Saudi Arabia and UAE visited northern Syrian territories under the YPG's control to hold meetings and to facilitate the terrorist organization' grip over the territories by persuading prominent Arabic tribes in the region. 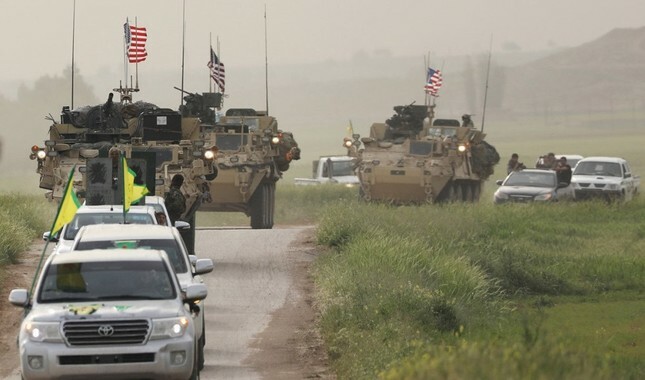 Recent media reports have been asserting that the two prominent Gulf countries are increasing their support to the YPG terror group in an effort to fill a power vacuum after the possible withdrawal of Washington from Syria. In 2017, Saudi Arabia delivered another $100 million to the YPG under "stabilization projects" following the retreat of Daesh from northeastern Raqqa in 2017. In the same year, Saudi State Minister Samir es-Sebhan also paid a visit to some villages in Raqqa. Using the fight against Daesh as a pretext, the U.S., an ally of Saudi Arabia, has been cooperating with the YPG in Syria and providing arms support to the group. After Daesh was cleared from the region with the help of the U.S., the YPG cemented its power in Syria, taking advantage of the power vacuum in the war-torn country. Also, the terror group established the so-called "nine committees," which are similar to ministries. The YPG also formed a political entity called the General Council of Self-Administration last month in northern and eastern Syria, hinting at their autonomous plans. Yet, the Chief Prosecutor of Paris moved the decision to the court of appeals to increase the punishment. The court of appeals decided that "convicted of terrorism crime" would be registered in the criminal record of three PKK partisans. According to the verdict, two PKK terrorist' prison sentences of 3 years and 18 months became definite, while the other terrorist's prison sentence was increased from 2 years to 4 years.